The Balda camera below was passed from father-to-son to one of the editors here at RainyDayMagazine. While the camera is over fifty years old, its bellows is light-tight and its optics razor sharp. The mechanical system (shutter, film winder, etc…) is still in excellent operating order. Protecting the camera is a purpose-built case. 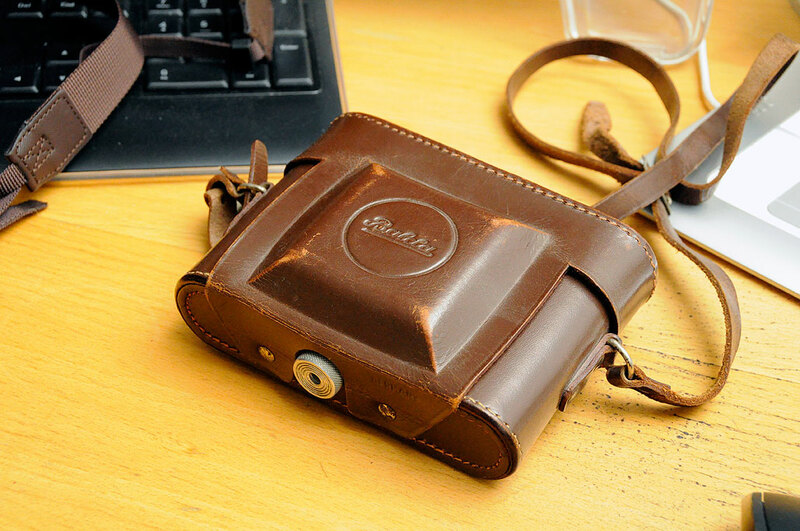 It is made from leather and is shaped to wrap around the various curves and protrusions of the camera. 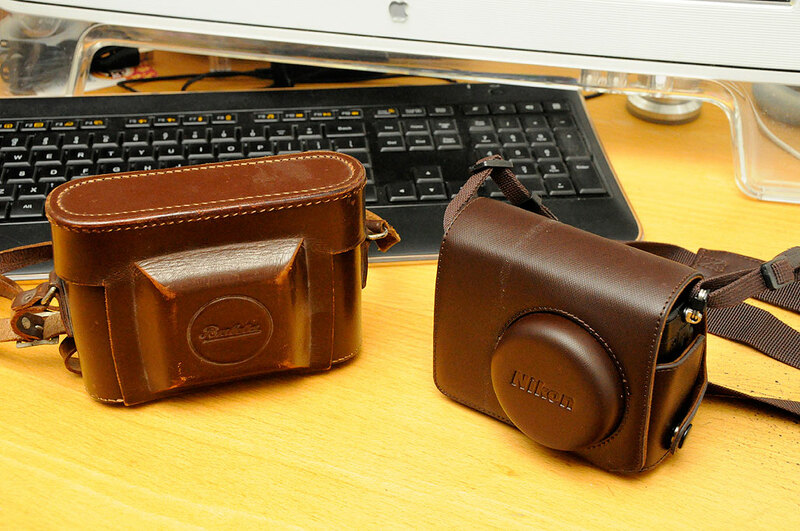 Camera cases have changed a lot since the days of the leather “ever-ready” ones like that on the Balda. Today’s cases are typically padded, have pockets for accessories, and are sometimes part of a larger “system.” While our new Nikon P7000 fits perfectly in the Kata S-312 camera bag, we wanted something with a more vintaged look for it. A little more like the Balda case. After looking around, we found a $20 aftermarket caseon EBay which fits the bill. 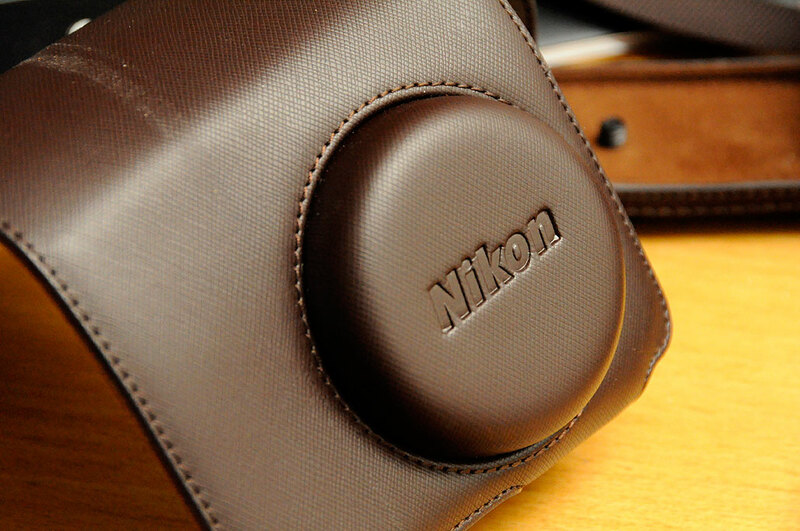 It is a two-piece case, is made of synthetic leather, and is sized for the Nikon P7000. The inside of the case is nicely lined with a suede-like material. There is padding strategically placed in the back flap to protect the LCD. There is a sewn-in cap to accommodate the slight protrusion of the lens. There is even a Nikon logo embossed on the front of the cap. The body piece attaches to the camera via a bottom screw which also doubles as a tripod mount. The stitching, fit, and built quality was surprisingly high for a $20 product. Quite a pleasant surprise! The case came with a matching strap. Normally we don’t like using a strap, as we find it makes the camera too bulky to put into a jacket pocket. Adding the case made that objection moot. Actually, a strap now makes sense as it made carrying the camera much easier. We also like how the extra padding on the grip made it easier to handle the camera. Camera technologies changed and the designs, styles, and tastes changed right along with them. Sixty years later, how a picture is captured may be very different, but some things are still the same. Elegance and simplicity are still desired. In this case, the saying “the more things change, the more they stay the same” appears to be quite the case.